The Economic and Financial Crimes Commission, EFCC, on Friday, March 28, 2014 arraigned Amodemaja Adeboye Quadri before Justice A. 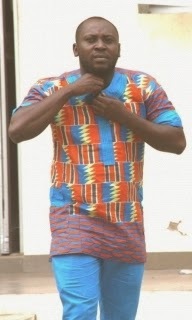 A. Aderemi of Oyo State High Court, Ibadan on a 4-count charge bordering on personation, marriage scam, and obtaining money by false pretences. 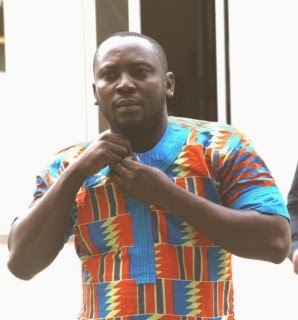 Defense counsel, Babatunde Alaka made an application for bail, supported by a seven-paragraph affidavit and a written address dated March 27 and 28, 2014. The judge granted the defendant bail in the sum of N5million with two sureties in like sum. One of the sureties must be a civil servant on grade level 10, and the other must have a property within the jurisdiction of the court. Both sureties must submit two passport-sized photographs to the Registrar of the court. He adjourned the case till April 11, 2014 for hearing and ordered that the defendant be remanded in Agodi prison, Ibadan. Troubles started for Quadri in 2011 when he got involved in a contrived relationship with an Italian lady, Mrs. Laura Roffosco and lied to her that he was an American, named James John Smith. In the course of the relationship, he confessed to her that he was actually a Nigerian and that he needed money to start up a business for the two of them and register a company, Alanquad Investment that they would be running after their marriage. Roffosco was thrilled by the proposal and sent a total sum of 275,000 Euros to him. Complications, however, crept into the relationship when Quadri invited Roffosco to Nigeria to "come and see things for herself" and confirm a landed property he bought in Ibadan. The lady came but couldn’t locate Quadri "because all his phones were off". Quadri admitted that he declined to see her because he found out that the lady was too old for him. He said that he later sent her a mail that he was no longer interested in the relationship. This spiked Roffosco's anger and she petitioned the EFCC. Quadri confessed to investigators that he used part of the 275,000 Euros sent by Roffosco to buy a landed property in Ibadan at the cost of N8,000,000(Eight Million Naira ), an Infinity Jeep at N3,000,000 (Three Million Naira) and built two 3-bedroom bungalows in Abeokuta, Ogun state.